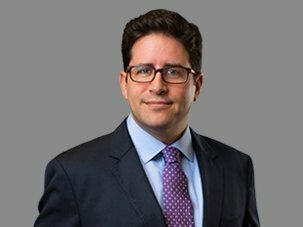 Adam S. Bloom, Esq., is Counsel in Frier Levitt’s Regulatory Department. Adam’s practice focuses on counseling clients on issues relating to FDA regulatory, licensing, mergers and acquisitions, clinical trials and other client matters. He provides counsel to clients on matters relating the entire life cycle of products regulated by the FDA with an emphasis on regulatory compliance, commercial contracts, and advertising and promotional review. Prior to joining Frier Levitt, Adam worked as corporate counsel at two pharmaceutical manufacturers.